Angela Proffitt is a Celebrity Wedding & Event Planner, Entrepreneur and Productivity Consultant with over 16 years of experience within the Events Industry. As the industry's leading creative disruptor, she has become a trusted resource and ally because of her commitment to exceeding the expectations of her clients and her passion for educating her audience. Her mantra "you don't know, what you don't know," fuels her books, online classes, live events, and consulting. Angela mixes her background in psychology and technology to plan and design for clients and businesses. It’s a unique twist on your average wedding planning experience. 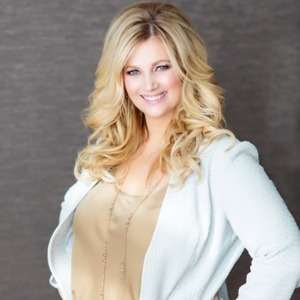 She has been voted "Best Event Planner," by Nashville Scene, highlighted as having the "Best Business Practices" by Success Magazine, appeared on ABC Family in the “Job or No Job” series and TLC’s “Extreme I Do’s. Her extensive list of clientele have included: Kellie Pickler, Hillary Scott of Lady Antebellum, Patrick Carney of the Black Keys, Jason Aldean, Eddie George (former TN Titans player) to name a few. She currently serves as a consultant to growing businesses in the wedding industry. Angela delivers tools that enable industry professionals to best serve their clients and believes that everyone has the ability to change a couples overall experience; all they have to do is plan for it! Sometimes, you just have to follow your heart. Even if that means canceling a lucrative reality show contract, knowing you are going to get sued, calling off an elaborate wedding very close to the wedding date and getting married alone on a beach. Sometimes you are Kellie Pickler and this happens to you. Hey! Be a crazy person that backs everything up on your computer! Learn from Angela! Be efficient. Utilize the cloud! Streamline! Adopt a system! Angela is a big fan of ‘time blocking’. It seems pretty awesome. It also seems like quite a project to get a handle on it...but once you do...BALANCE! Angela vets her clients before they even walk in (or call) for the initial consultation or intake. When a person inquires with her, they answer questions and share their Pinterest board, which pretty much tells Angela everything she needs to know. Because she is looking for specific things. (Based on the True Colors identifiers.) Apparently, it’s pretty similar to Tony Robbins stuff. Opposites attract? Hmmm….Angela has a different take. Angela walks us through what the typical process is for her team when they plan a wedding with clients. The timeline is a well-oiled-machine and Angela has her team, including herself, utilized in a very specific capacity for every job. Systems in place. It’s fascinating!